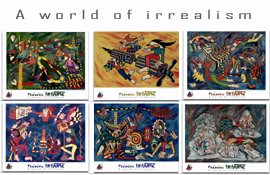 Irrealist Editions combine graphical and technical web design and develop multimedia product with great interest and commitment on the design and techniques of applied art, custom graphics and digital media works with character and identity. It is with the latest technology combined with traditional craftsmanship and multidisciplinary skills that we develop and produce unique posters, postcards, but also products that are significantly different from what the market can offer. We can on request creat prototypes and new products. Enjoy the art at a reasonable price! 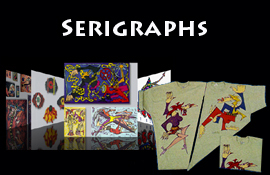 We have an extensive network of graphic designers, printing facilities and industries that offer us great opportunities. For further information Contact us ! 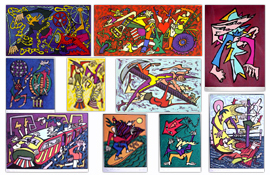 Choose among 11 graphic works silkscreen, signed and numbered by the artist Frédéric Iriarte, serigraphs on Arches paper. 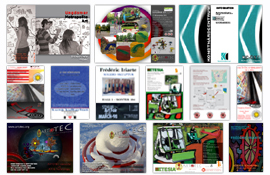 We produce posters in different sizes and designs. Possibility of adding a magnetic background or order frames. We produce and sell post-cards for businesses and individuals, all with a distinct artistic and attractive identity. 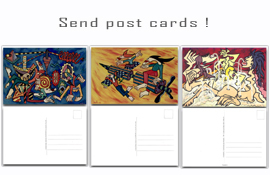 Gladly send an Irrealistic artistic message to your friends or someone you know. 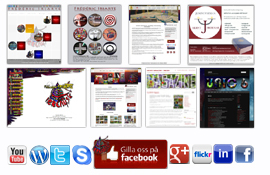 We produce logos for company profiles, in close collaboration with the client. Our goal is that our customers not only be satisfied, but also feel proud and confident that nothing similar is already done in the market and that the project procurre a presentation of innovation. Price excluding VAT, 2 to 8 weeks delivery time, 50% deposit with order, the invoice 10 days after the good reception of the order. For bulk orders we will offer you a detailed discounted offer. For other questions, please contact us by email or telephone. About a possible production or collaborative projects. Send us a written request. We will reply as soon as possible, do not hesitate, we encourage dialogue and creative ideas, nothing is impossible everything is possible with creative solutions, determination and creativity. © Public works photographs, designs, are protected by law Design copyright and registered organizations OHIM, BUS, STIM, ADAGP, ARS, COPYSWEDE and others. Send a request to Irrealist Art Editions.